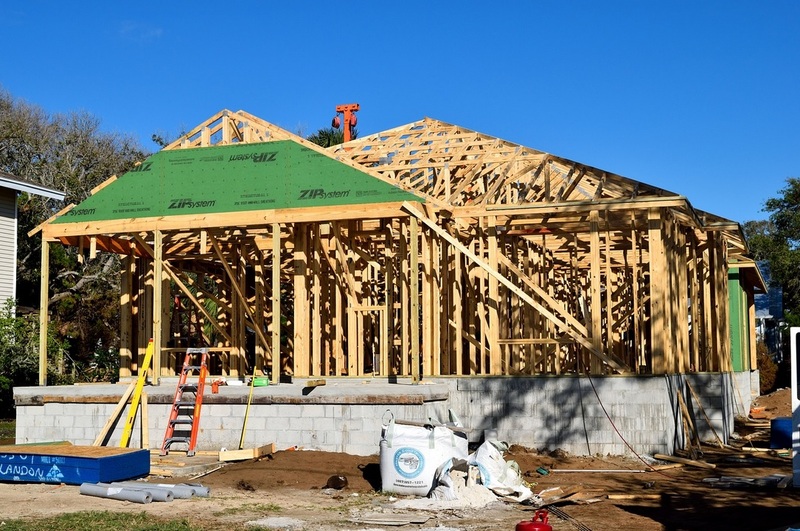 – Building permits (smoothed) rose to a new high for this cycle. – The gains in the weight-distance tax since last November suggest that Oregon’s traded-goods sector gained steam in recent months. – The moving average measure, which smooths out the volatility, rose to 1.33, well above average. (“zero” indicates average growth over the 1990-present period). Similar to January, all sectors covered contributed positively to the measure with particularly strong numbers in the household sector. – Housing activity, measured by new housing permits, made a solid contribution; permits have risen to a pace more consistent with that of past expansions. – Falling equity prices placed a modest drag on the household sector, but low unemployment and low initial unemployment claims are both contributing strongly to the measure. 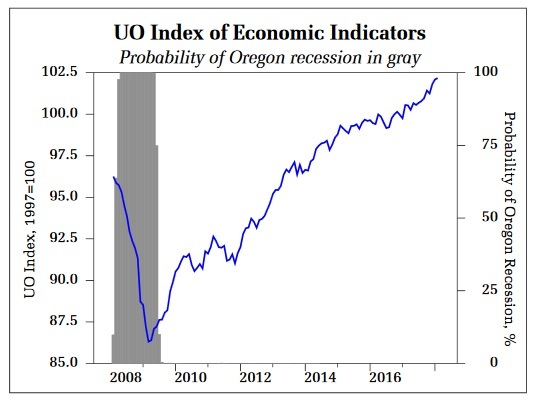 – The University of Oregon Index of Economic Indicators gained for a third consecutive month, rising 0.1 percent. Initial unemployment claims rose after falling to a new low in January; employment services payrolls (mostly temporary help workers) edged down.